Currently 160 in stock with more arriving soon. Item Dimensions: Height = 5 1/16" by Width = 3 1/8"
Made from real wood, this stylish wallplate adds simple elegance to your decor. Decorating with wallplates is an economical way to make great impact in your home. Manufactured by Amerelle, the leader in decorative wallplates and hardware. 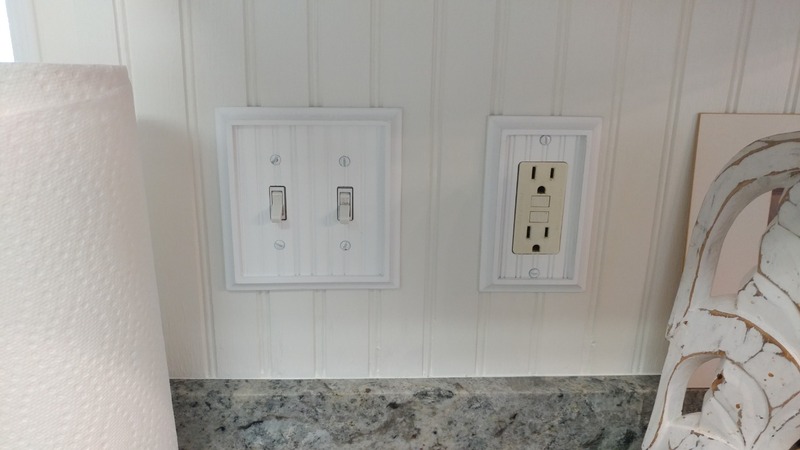 Love these wall plates on the new wainscoting backsplash in my kitchen! Well made and fit beautifully. They had what I was looking for, much better selection than other stores and fair prices. The quality was just fine - it’s a wall plate so the expectations are low! My experience was a very positive one. The order shipped quickly, arrived in good condition, and the product was exactly what I had hoped for. Easy to install, called & ordered over phone & arrived in timely fashion. Love the appearance & the cottage appears it adds, even if subtle.